Our country increasingly has come to terms with the need for fairness toward LGBT Americans – and few have questioned the premise that LGBT human rights abuse, like all human rights abuse, must be challenged. But as we enter this election year, we’re disappointed to see how little discussion there’s been of human rights in either party’s presidential campaign. Fair treatment of human beings is, after all, common to many religious traditions, and it seems to us important that both major political parties regularly reaffirm the importance our country attaches to the protection of human rights for all. Even more, we’re deeply concerned that the inflamed Republican primary rhetoric over immigration and refugees is harming our country’s image as a beacon of hope in today’s troubled world. It’s hardly a partisan comment to ask that both parties reaffirm our country’s proud tradition of welcoming those who flee persecution. Nor is it partisan to ask that those who call for the protection of Christian refugees from abuse and injustice show equal concern for the plight of LGBT refugees, who are among those most negatively impacted by wars across the Middle East. We will continue to press the Obama Administration toward policies that assure the wellbeing of LGBT people worldwide – and we hope it will be eager to reach as broadly positive a legacy in this respect as possible. But we also want that legacy to carry over to a new Administration – one in which the new President, from whichever party, speaks to America’s strength as a nation of bright compassion, not as a nation of fear, and distrust, and hatred. 2016 will be crucial from both respects: an administration that can leave behind a powerful legacy of standing for fairness and equality, and an electoral cycle that should reaffirm those principles, rather than shrinking from their embrace. We ask that all of those who value liberty and equality, and who are committed to notions of fairness, make this a year of progress on both accounts. The United States on Tuesday dropped The Gambia from a popular free trade agreement in response to a crackdown on LGBT rights and other human rights concerns. The decision to drop the small West African nation from special trade status under the African Growth and Opportunity Act of 2000 came late Tuesday afternoon, just after media in The Gambia announced that three men would be put on trial for homosexuality. These are the first to face trial since police began arresting people on allegations of homosexuality in November. At least sixteen more are known to be in detention, and Gambian human rights activists do not know if they are even still alive. The move comes after Gambian human rights activists were able to secure their first meetings with high-ranking US officials after years of unsuccessfully trying to get the State Department to respond to the abysmal human rights during President Yahya Jammeh’s 20 years in power. The meeting coincided with a petition drive launched by the largest American LGBT organization, the Human Rights Campaign, calling on the Obama administration to “take swift action against President Jammeh for his intolerable actions.” LGBT rights advocates say their role in opening doors to the Obama administration suggests they have fully arrived as a force in influencing US foreign policy. 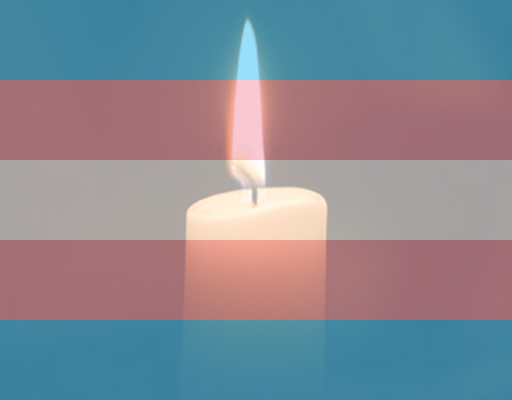 November 20, 2014 — Today, on Transgender Day of Remembrance, we remember brave transgender individuals around the world who have been killed because of who they are or how they appear in the world. It therefore seems fitting, on a day like today, to reflect on a draft resolution adopted yesterday by the United Nations that recognizes the sad reality that lesbian, gay, bisexual and transgender (LGBT) individuals are too often targeted and killed because of their sexual orientation or gender identity. The UN resolution, which condemns “extrajudicial, summary or arbitrary executions” committed by both government and non-governmental agents, recognizes that certain vulnerable groups of persons – generally those who face broader social exclusion and discrimination – are at particular risk of targeted killing. And when they are attacked, governments are far less likely to investigate the cases or prosecute the perpetrators. Perhaps no such group is at greater risk than transgender individuals – those who dare to live authentic lives in defiance of gender expectations or stereotypes. Public health groups estimate that the life expectancy of a transgender woman in Latin America is between 30 and 35 years, and possibly lower in parts of Central America. And for regions where transgender homicides are completely ignored and statistics purposefully obscured, the measure of a transgender life may be even lower. Extreme violence goes a long way in explaining these shocking disparities. In the context of this somber day of remembrance, it is comforting to recognize that the struggle for global equality is gaining ground, even in the culture wars of the United Nations. An effort yesterday by Saudi Arabia to strip the reference to vulnerable groups in the resolution on extrajudicial killings, which was clearly understood as an attempt to strip the sexual orientation and gender identity language from the text, was roundly defeated, with eighty-two governments across all regions voting to name the violence against LGBT individuals and keep the reference to vulnerable groups in the text. Only fifty-three governments supported the Saudi deceit, which represents a growing consensus around LGBT rights as human rights. The final text was adopted in committee yesterday with only one vote in opposition, and it will now go to the full UN General Assembly for a vote in December. The United States, which in the past has supported the spirit of the text but abstained on technical legal grounds, joined the growing majority in voting for the resolution this year. That represents an additionally important victory for human rights. The vote at the United Nations yesterday, on the heels of the adoption of another, stand-alone resolution on “human rights, sexual orientation and gender identity” at the United Nations last month, represents a turning point in the way the United Nations responds to human rights violations targeting LGBT individuals. And while its impact may not yet be measured in lives saved or years lived, it represents concerted advocacy and increasing political will within the United Nations. And that growing consensus will eventually be measured in human development – in both the quantity and the quality of the years lived by transgender youth of tomorrow. 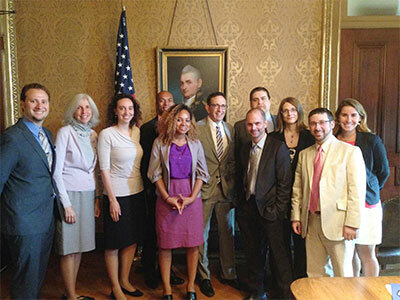 Washington D.C. – American Jewish World Service (AJWS) and a coalition of advocacy and human rights organizations met with White House officials today to ask President Obama to appoint a Special Envoy for the human rights of lesbian, gay, bisexual, and transgender (LGBT) peoples within the U.S. Department of State. Long before President Obama selected three gay athletes to lead the American delegation to the Sochi Olympics, long before President Vladimir Putin declared Russia to be the world’s new “moral compass,” and long before practically anyone in the West had even heard of that country’s new “homosexual propaganda” law, one American had thought deeply about it—because he’d helped invent it. “My greatest success, in terms of my own personal strategy, is Russia,” Scott Lively says from his native Massachusetts, where he launched a quixotic bid for governor this year. 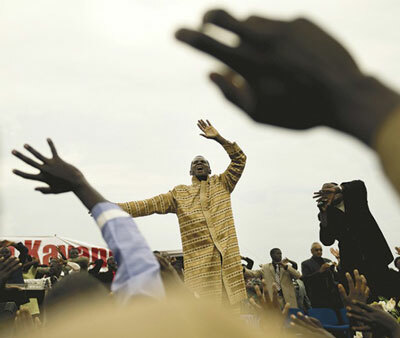 Lively, who is being sued in U.S. federal court by a gay-rights group for alleged crimes against humanity over his work fighting “the gay agenda” in Uganda, led a 50-city tour through the former Soviet Union several years ago to warn its citizens about the international gay conspiracy. His message and his proposed solution—to criminalize LGBT advocacy—were received with open arms in town-hall meetings, local legislatures, and St. Petersburg, which sent an open letter to the Russian people and later became one of the first cities in the country to outlaw “homosexual propaganda,” paving the way for the national legislation. “I was an alcoholic and a drug addict until I got saved in 1986, and since that time my focus has been to restore a biblical focus with regards to marriage and sexuality,” he says. Lively became a lawyer, author, and advocate in pursuit of the cause, but he gave up on the United States almost a decade ago, when one of his cases (challenging an antidiscrimination law)failed. “I began shifting my emphasis, which is going to the other countries in the world that are still culturally conservative to warn them about how the Left has advanced its agenda in the U.S., Canada, and Europe—and to help put barriers in place. And the goal is to build a consensus of moral countries to actually roll back the leftist agenda in my country,” he explains matter-of-factly.